The Sun rose up from the horizon not giving any chance for our friends to stay in their beds. A special program was scheduled for the day in IAO. Sri Lanka is a tropical country with a unique biodiversity. 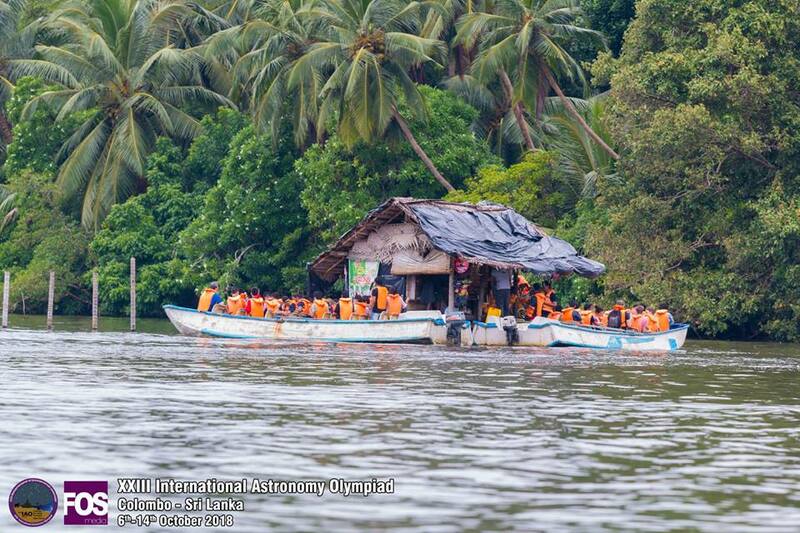 This island is identified as one of the biodiversity hotspots in the world. So, for anyone visiting Sri Lanka it is important to catch a glimpse of this biodiversity before they leave. 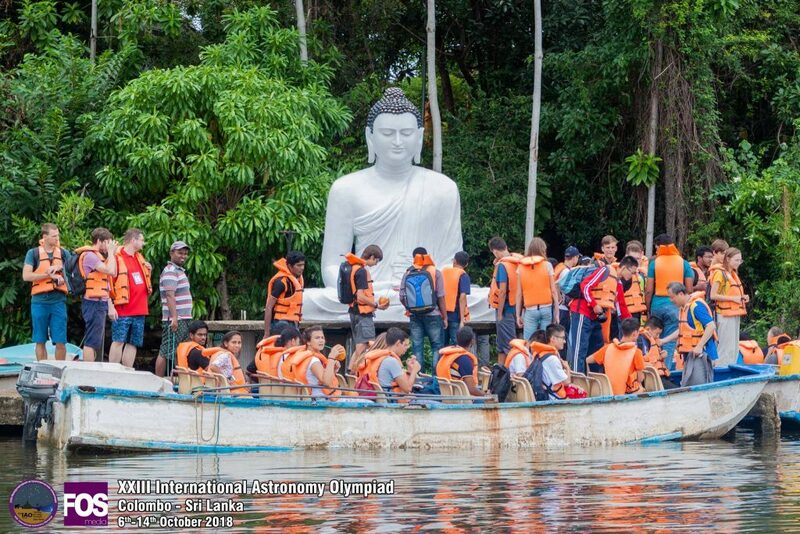 Therefore organizers reserved a whole day for our foreign students to get a good idea about Sri Lankan biodiversity. All got into buses in their lazy moods and buses started towards the destination. Seats in the bus had become instant beds for our friends. Haa.. 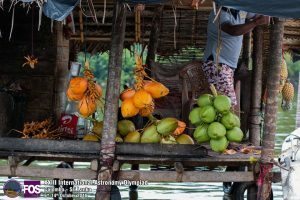 They got good time in their dream worlds while buses reached the first stop of the day,the Madu river. Madu river which starts from Pol Atu Kanda owns the second largest wetland of Sri Lanka and third Ramsar wetland of the world. ‘Maha dupatha athi gangawa ‘(River with great island ) is pronounced today as Madu ganga. According to the name there had been 64 islands but today it is reduced to 25 . This place owns one of the biggest mangrove forests in the country. 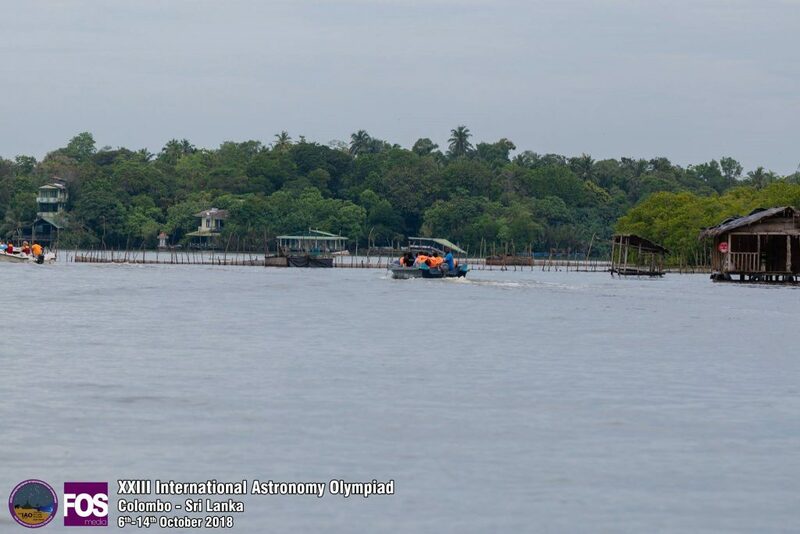 The daily occurring high and low tides control the salinity of Madu river. During the low-tide the sea water flows in-land along the river, increasing the salinity of river water while during the high-tide the water flows out. 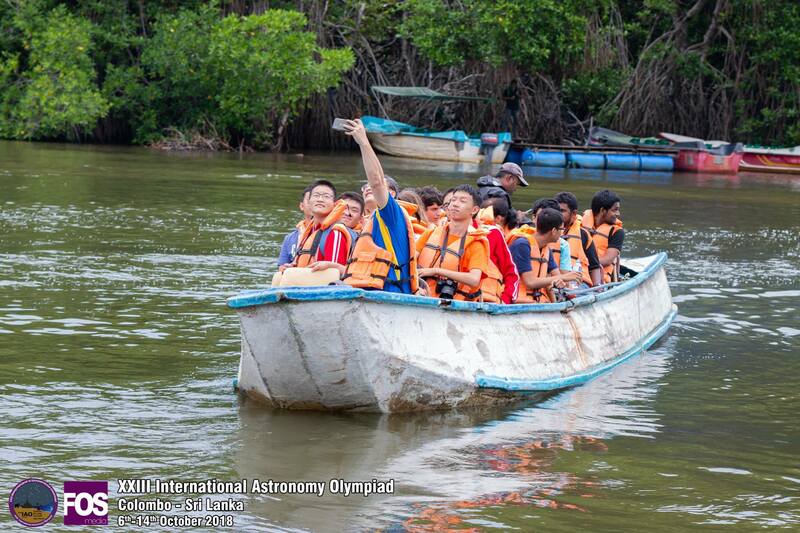 This natural phenomenon helps to maintain the suitable Eco-system for mangrove vegetation. By using these tides anyone can enter the interior of the country. Historians say one invader from Kerala was defeated in here by the army of King Parakramabahu II and according to the legends this was also a refuge for King Dhaathusena and King Mugalan. But today this place is a natural sanctuary of Sri Lanka since 2006. Any person who wants to explore this wonder world have to travel in the boats. A huge water resource is stored in this lagoon. 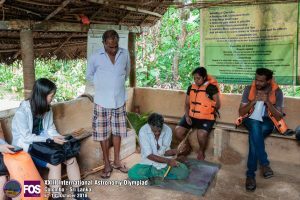 We went to Balapitiya to start our boat safari where all of us were divided into groups. Our journey started as the boats floated over the water. Small boats are used in the area to protect the nature. 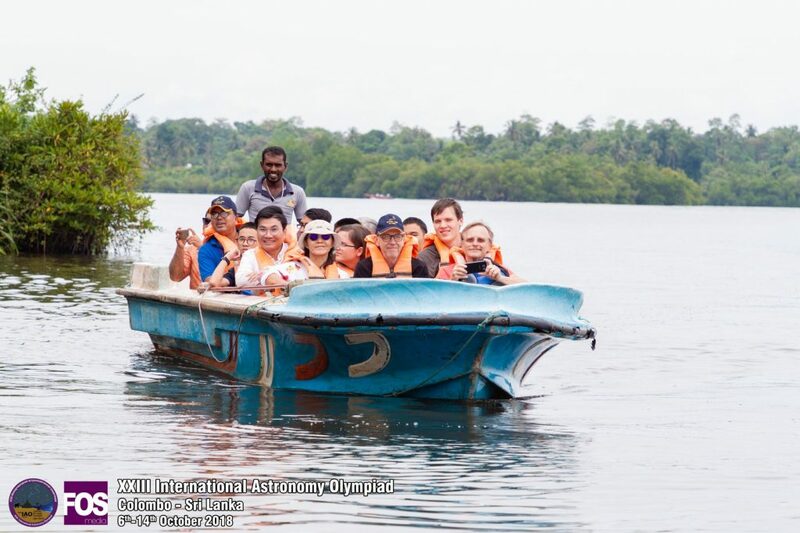 In this journey we saw islands of various types and shapes like Madaduwa, Maimaduwa and Talduwa. Islands like Mahaduwa are inhabited by humans and it is the largest among the islands. But all are covered with forests. We also visited some of them. Kurudu Duwa(Cinnamon island) is mostly covered with cinnamon plantation. People who live in this small island, are doing traditional cinnamon peeling to gain their income. It was a new experience to our foreign friends and most of us too. Some also bought cinnamon products from them. Main income of this area is cinnamon. Fishery is another source of their income. ‘Ja Kotu’ that kept fish or crabs held in an area used for fishery and sometimes fishermen who caught fish by nets could also be seen. 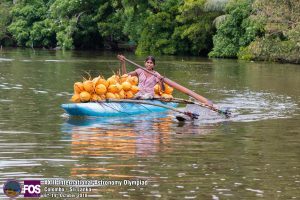 Not only that our foreign friends got an experience of industries related to coconut tree which are popular in Southern coastal area during this journey. 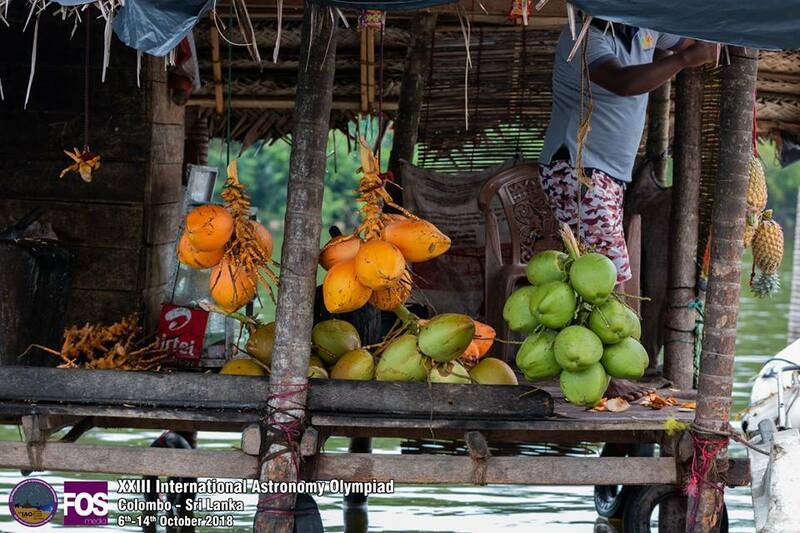 They also got to experiment drinking ‘kurumba'(tender coconut water) from a shop on the lake water surface. They found it very exciting just as we did. At the end of the journey we all went to the temple in the area which was located on an island called ‘Kothduwa’. The Bo tree in the temple is said to be planted by Deva Pathiraja minister of King Parakramabahu II according to folklore. Not only that, this place is considered as a place visited by Princess Hemamala and Prince Dantha who brought the Sacred Tooth Relic of the Lord Buddha to Sri Lanka. 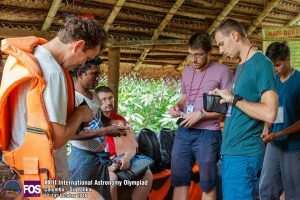 After a two hour journey everyone returned to the starting point and had lunch prepared in Sri Lankan style. It was a really new experience for our foreign friends. Then all of us had to leave this magical place to go to the next destination. Addition:Here are the sources which I found additional knowledge about this interesting place.